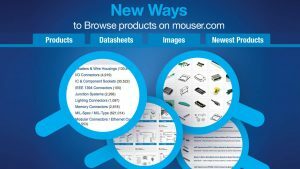 Mouser Electronics, Inc., is constantly improving and simplifying how customers can browse and search for products on its industry-leading website, Mouser.com. Mouser customers now can find product information more easily via Datasheets, Images and Newest Products, in addition to searching for products through the site’s parametric Product Search. In addition to browsing and searching parts by product category, customers can now click the Datasheets tab on Mouser.com to review Mouser’s extensive library containing hundreds of thousands of datasheets. The new datasheet feature allows customers to browse datasheets by using any search or navigation function. The Datasheets tab makes it easy to go from a product list to a datasheet, enabling customers to filter a specific product group and browse the relevant datasheets by product category. With one click, customers can open any datasheet in an integrated PDF viewer and see availability and pricing for all parts that reference the sheet. Moving from one datasheet to the next is like flipping pages. 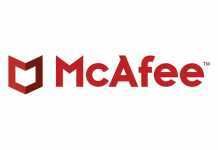 Clicking on All Products, for instance, opens a page with links to various categories, such as Semiconductors, Circuit Protection, Connectors and 15 other parts categories. For example, clicking on “Semiconductors,” reveals a Datasheet tab with 100,509 individual entries; “Connectors” features 298,749 datasheets, all easily assessed and perused. Simple tabs at the bottom of each datasheet allow users to quickly enlarge or download that datasheet. With this new expanded functionality, customers can browse products and narrow product information on their own terms in ways they’ve never been able to before. Whether searching products, product categories or product types, customers can take advantage of Mouser’s new options to easily review additional information to discover and make their selections with flexibility and speed. The additional product information on Mouser.com functions much like an enhanced digital catalog, grouping content in four easy-to-access tabs that incorporate search and display options to minimize the number of clicks. To learn about the new ways to browse and search products and product information, including Mouser’s industry-first datasheet grouping, visit http://www.mouser.com/search-options.